This painting was Don's first painting to be published as a print back in 1994 and is still one of his best selling prints to date. 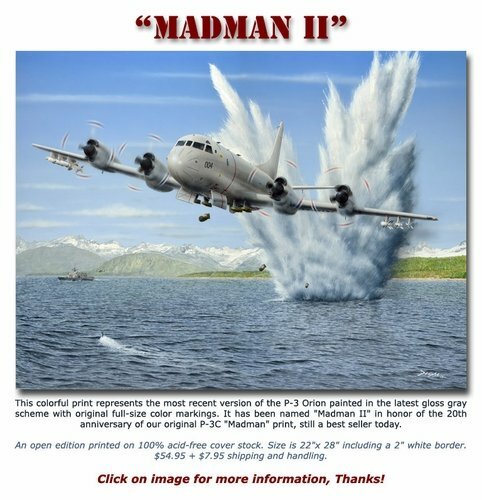 It depicts a Lockheed P-3C Orion in the old white over gray paint scheme pulling up at the end of a MAD (Magnetic Anomaly Detector) run. 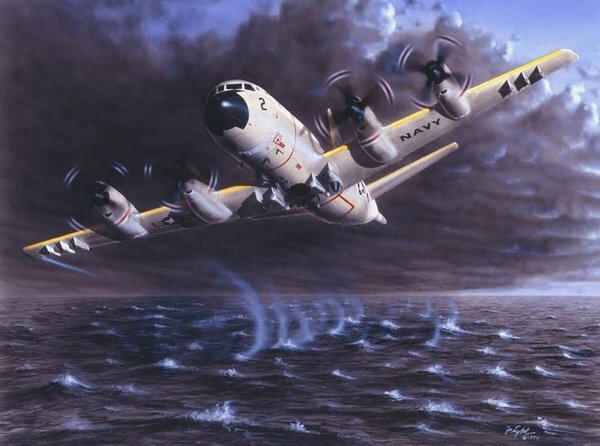 One of the few full-color P-3 Orion prints available. An open edition printed on 100% acid-free cover stock.